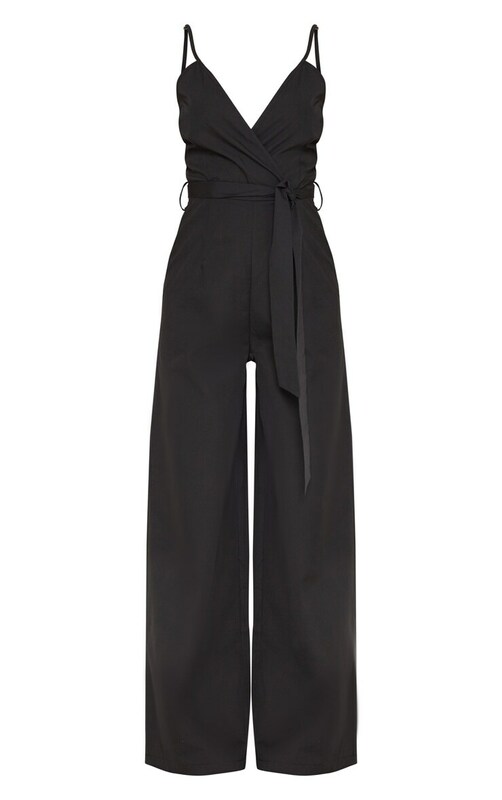 Change your LBD with this must-have jumpsuit. Featuring a black material with thin straps and a tie waist detail. Team this with sky-high heels and a small bag to complete the look.